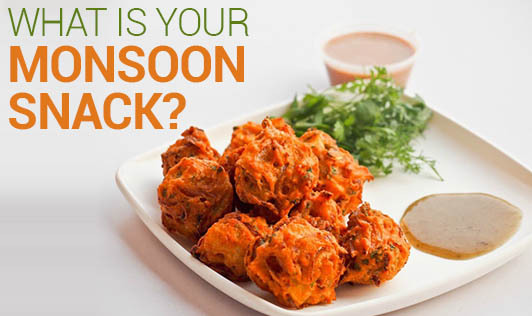 What is Your Monsoon Snack?? Ahh..the rains, there is something oddly festive about the monsoon. Rains not only switch on the romance us, but also fires up our appetite and desperation for a particular snack. The gracious weather just triggers your enthusiasm to munch on greasy, hot crispies that forms the highlight of our monsoon experience. And these indulgences are sure to wash away the hard work that you put in to maintain your weight. Here are few healthy substitutes to your favourite monsoon snacks.